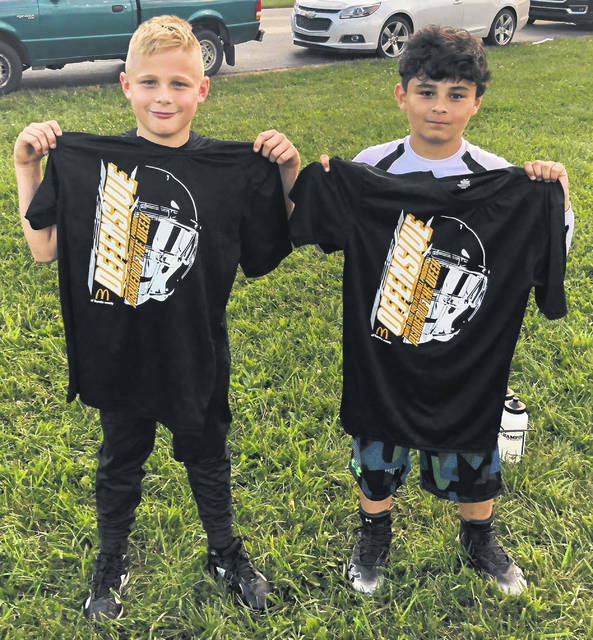 The Miami Trace Youth Football Program announces its players of the week for games played Oct. 6 and 7, 2018. (l-r); Ty Stuckey, Defensive Player of the Week and Alex Utrera, Offensive Player of the Week. In games played this past weekend, the Miami Trace Varsity Gold team shut out Jackson, 6-0; the Varsity White team fell to Chillicothe, 14-0; the Varsity Black team lost to Washington, 13-8; the J-V White team lost to Chillicothe, 26-6 and the J-V Black team beat Washington, 19-13.